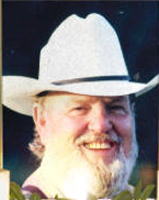 Last Friday, November 6, prominent Texas owner and breeder Leland Cook passed away in Corsicana, Texas following a lengthy illness at the age of 75. Cook was an entrepreneur whose vast business interests included a video game licensing and marketing company and a vending machine company. Born on December 19, 1933 to Leland Preston Cook, Sr. and Maudine Cook in Abilene, Texas, he was the only son of four children. Leland married his junior high sweetheart and love of his life, Sue Burton of Abilene. He attended Texas A&M University on a football scholarship and graduated in 1956 with a Bachelor of Science in Agriculture Economics. He was also a Golden Glove Heavy Weight boxing champion at Abilene High School, where he graduated in 1952. Cook was a banker, rancher, race horse owner, and founder of Master Vend in Corsicana, as well as the video game company Tradewest, whose beginnings in Corsicana launched several world-famous video game titles. He also worked for many years at the Corsicana Daily Sun, serving as the paper’s circulation manager. In 1972, Cook purchased Cabell’s Grocery Store, and in 1975 purchased what was then Cranford Vending Company and renamed the company Master Vend. Cook’s son Lance now operates that business. Tradewest was created along with son Byron in 1985, and the company gained international success with its video game products. Leland and his wife, Sue, purchased Richland Ranch in Corsicana in the late 1980s. Not long afterward the couple turned their attention to racing, and registering their first stakes win with Senior Foxfire. In 1993, the Cooks won the Louisiana Derby with Dixieland Heat, and that runner went on to run third in the Blue Grass and 12th in the Kentucky Derby. The Cooks also campaigned 2000 Texas Horse of the Year Gold Nugget and several other stakes winners. Cook’s contributions to the community were many, and his impact on the lives of thousands throughout Navarro County will live long in the memories of those he touched. It was with the help of the Cook family that Navarro College was able to complete the Cook Education Center, a facility that now houses not only a planetarium, but is home to one of the nation’s foremost collections of Civil War artifacts and Western Art in the Pearce Museums. He is survived by his wife of 56 years, Sue Cook; sons, Byron Cook and wife Kay, Rob Cook and wife Margo, Ken Cook and wife Paula, Lance Cook and wife Karen, and Brad Cook; grandchildren, Ginne and Katie Cook, Andrew Cook, Audrey Cook Reed and husband Russell, Kyle Cook and wife Kari, Carlos Cook, Leland Cook, Devin and Jack Summitt, Landon, Logan and Lawton Cook, and Hayden Cook; great-grandchildren Jaxson and Lillie Reed, Kaeleigh and Kenlee Cook. He is also survived by his sisters and their spouses, Carole Cook and Tom Troupe, Regina and Bonnie Cocanougher, and Brian Brooks; and many nieces and nephews. Visitation will be held from 6:00 to 8:00 p.m. on Tuesday, November 10, at the Corley Funeral Home in Corsicana. Funeral services will be held at 11:00 a.m. on Wednesday, November 11, at Northside Baptist Church in Corsicana with the Rev. Rick Lamb officiating. A private family burial will be held at a later date.